To Lawrence and AkiHaus team, BIG thank you for making our dream home come true! Lawrence was really patient with us as we didn’t really know what we want in the beginning. He listened to us and came up with several design options and guided us through to make sure our home is beautiful and represents us well. He thought of everything to the smallest of details -we have a truly functional home despite the small space. This perhaps because he is not only a qualified interior designer but also an architect! All designs were well thought of, he even went together with us to pick and choose everything at home -tiles, appliances, furnitures, lightings! 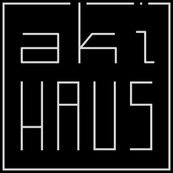 We are truly grateful and would definitley recommend AkiHaus to anyone who wants a hassle-free, super cozy, beautiful home renovation! Thanks Lawrence!